Systolic hypertension in the elderly is a common clinical problem which represents a major therapeutic dilemma. The magnitude of the problem is increasing as the population of individuals over 50 years of age is expanding. 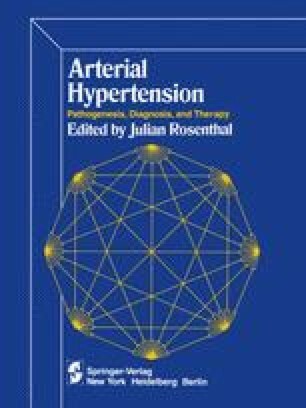 Recent epidemiologic studies have suggested that systolic hypertension is an important risk factor for several major cardiovascular complications. However, the merits of treatment for the disorder remain obscure, and the optimum approach for lowering blood pressure has not been defined clearly. This paper will review some of the available information on this subject and will offer a personal approach to its management.